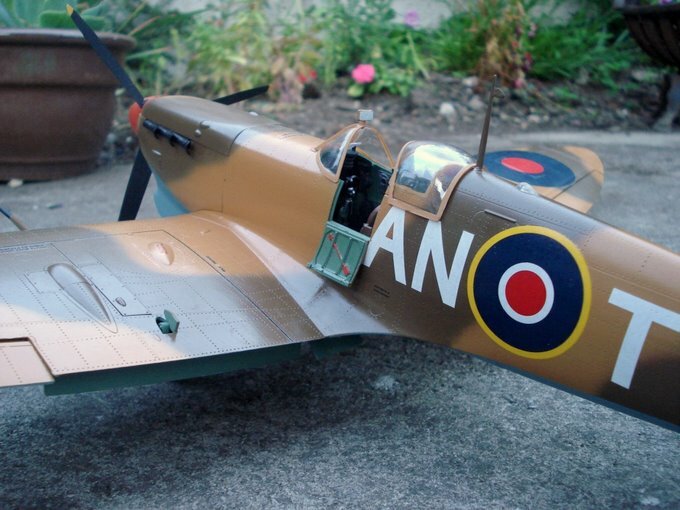 I have just built this, the Trumpeter 1/24 Spitfire Mk. V and thought you may be interested. The model represents a tropical Mk. VB, ser.no BR195 AN-T operated by No. 417 Squadron during 1942. 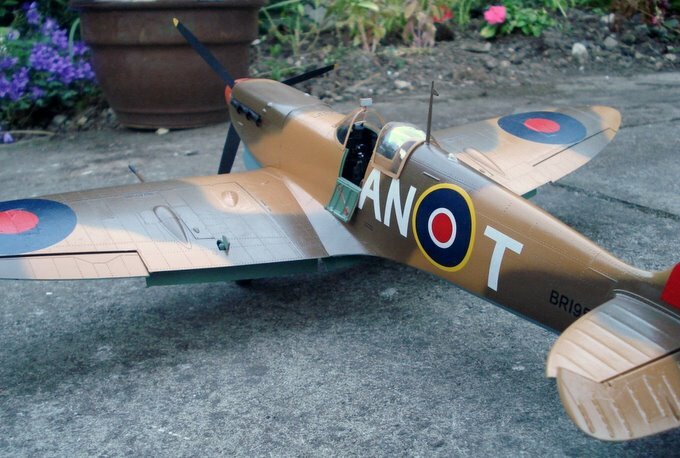 I’ve always had a thing about Spitfires and I’m glad that I have discovered this website. Keep up the good work. 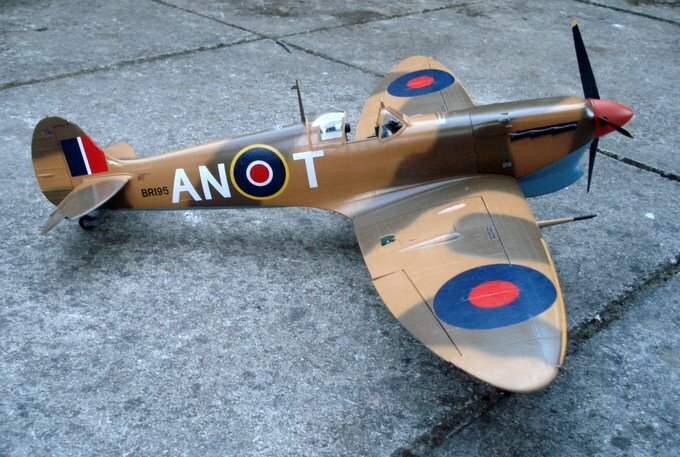 was going to put my pics on for my spit……not going to now…..bob on paint job….background?? ?